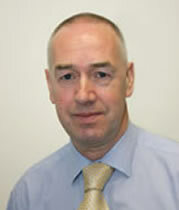 As of today (1 May), Professor John Cullen becomes President of the British Accounting and Finance Association (BAFA). 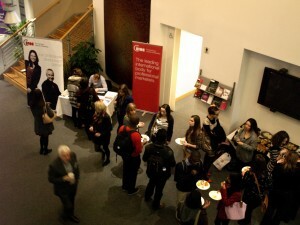 As the learned society for accounting and finance in the UK, the Association, which recently held its 50th annual conference at the London School of Economics, aims to advance knowledge and understanding of education and research in areas of accounting and finance, as well as promoting closer relations among academics, practitioners, policy makers and others who are interested in the development the sector. It plays an important role in representing the wider interests of accounting and finance in the Higher Education Sector and engages fully in consultations about policy issues and nomination of representatives for panels such as REF 2014. Prof Cullen is excited about his two-year position as President, and he is determined to continue the excellent work undertaken by previous presidents in taking the learned society forward. He recognises that there are challenges ahead and realises that the role comes with a great deal of responsibility. He said: “We have a strong group of trustees, executive members, sub-committees and special interest groups and I am confident that we will be able to take BAFA further forward during the two years of my presidency and beyond. “I am particularly keen to further embed the accounting and finance academic community, through BAFA, into the activities of the Academy of Social Sciences. I have been working on this relationship for the last couple of years and see the importance of accounting and finance as a discipline impacting on social science agendas. I see my time as President as the ideal time to engage further and build on this relationship. BAFA is a very active organisation. Aside from the extremely popular annual conference, which this year welcomed 430 attendees from across the globe, and doctoral conference (120 attendees), it has a highly populated events calendar through the activities of the sub committees (Committee of Departments of Accounting and Finance [CDAF]; Conference of Professors of Accounting and Finance (CPAF) and the large number of special interest groups. BAFA also publishes The British Accounting Review which is a top ranked academic journal in the field. Doctoral members are encouraged and subsidised, and BAFA is very well connected with a range of influential professional bodies such as CIMA, ICAEW, ACCA, CIPFA, CPA Australia, ICAS and CFA. 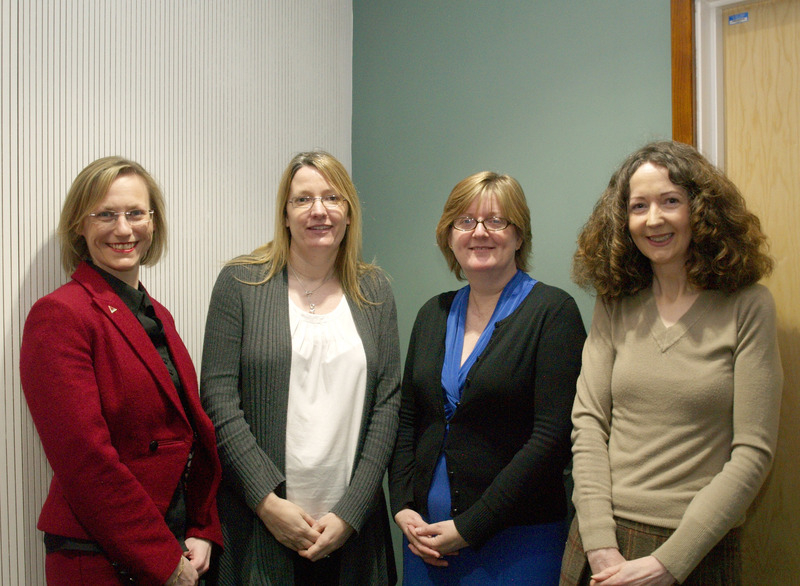 The Management School successfully held its first induction of new members into Beta Gamma Sigma on 10th January. Beta Gamma Sigma, or BGS, is the international honour society serving business programmes accredited by AACSB International – The Association to Advance Collegiate Schools of Business (AACSB). Following accreditation from AACSB last year, the school gained eligibility to establish its own BGS Chapter here in Sheffield. The school inducted its first 14 members into the BGS honour society and those that were able to attend were presented with their membership certificates by Dr Gary Simpson of Aston Business School, and BGS Inducting Officer. 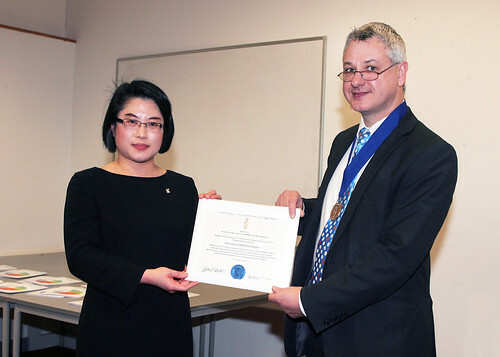 Professor Lenny Koh, Associate Dean for Alumni Affairs at the Management School was also presented with the BGS Chapter Charter on behalf of the School. Becoming a member of BGS is something that Management School students should aim for. It is the highest recognition a business student anywhere in the world can receive in a business programme accredited by AACSB International. We look forward to welcoming more members into the Sheffield BGS Chapter at future induction ceremonies. The Management School has won the coveted status of Triple Crown by achieving awards from the three largest and most influential business school accreditation associations. 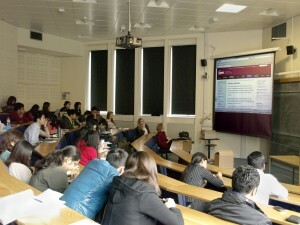 Following the Association to Advance Collegiate Schools of Business (AACSB) accreditation, the Management School joins the top one per cent of centres across the world – 57 globally and just 14 in the UK – to be awarded by the Association of MBAs (AMBA), European Quality Improvement System (EQUIS) and the AACSB. Professor Keith Glaister, Dean of the Management School, said: “We are privileged to join this prestigious international group. It is a symbol of the highest quality and another example of the fantastic achievements being made at the Management School. “We strive to be a world-class centre delivering cutting-edge research and offering excellent learning and teaching. The accreditations recognise the progress we have made in recent years. We are now better placed to serve, and anticipate, the needs of the business community regionally, nationally and internationally. Together, the awards show students, parents and employers that we are providing a top-quality education and world class graduates. To achieve AACSB accreditation, our many programmes underwent a meticulous internal review and evaluation process, including a strategic plan to satisfy 21 stringent quality standards relating to management of resources, interactions of faculty and students, as well as a commitment to continuous improvement and achievement of learning goals in degree programs. This latest recognition follows on from February’s award by EQUIS, which was the result of a rigorous three year application process. As part of this, we undertook a lengthy self evaluation in conjunction with a mentor provided by EQUIS and as part of the process submitted a 120 page report focusing on nine EQUIS standards, including chapters on students, the faculty, contribution to the community and internationalisation. The application culminated in a three day visit and involved staff, students, alumni and the Vice Chancellor, as well as centres including Corporate Information and Computing Services, the library, and careers. Reverse logistics tool reduces losses on retail returns. The Chartered Institute of Management Accounting (CIMA) and The American Institute of Certified Public Accountants (AICPA) have just launched a Global Joint Venture called Chartered Global Management Accountants (CGMA), a new professional designation for Management Accountants. The CGMA is designed to elevate management accounting and further emphasise its importance for businesses worldwide. The Management School’s Reverse Logistics Toolkit, developed in collaboration with Cranfield University, is one of only twelve toolkits selected to feature on the CGMA website. As a significant percentage of products are returned by customers, reverse logistics has become an area that retailers and manufacturers cannot ignore. Reverse logistics is a broad area and the tool focuses on the management of retail returns. In particular the tool views the management of the reverse logistics process from a holistic supply chain approach rather than simply starting after the point of sale. Despite the fact that managing returns incurs substantial costs through logistics, inventory and disposal, many companies have inadequate processes for dealing with them. The improved management of returns can have a significant impact on bottom line performance. It can also have a significant impact on environmental concerns, since reverse logistics operations involve transportation and, therefore, CO2 emissions. The tool enables companies to audit their returns management activities and identify where opportunities exist to reduce costs and waste and improve customer service. Chartered Global Management Accountants can play an important role in this area by using their analytical skills to highlight the financial benefits to be gained from making improvements to reverse logistics processes and by recognising the importance of supply chain accounting and inter-organisational accounting. Techniques such as quality costing and transparent performance measurement systems have a significant role to play. Many of the diagnostic and performance aspects of the tool are based on activities taking place across organisational boundaries with particular emphasis on relationships with suppliers and customers. The tool covers cost and performance management, avoidance of product returns, process management, the physical network, inventory management, information and communication technology, material handling, containers, sustainable distribution and compliance with legislation. Posted in Knowledge Exchange, Membership, Research | Comments Off on Reverse logistics tool reduces losses on retail returns. The University of Sheffield has joined forces with The Chartered Institute of Marketing to add real value to its marketing masters courses, putting their students positively ahead on the career ladder. 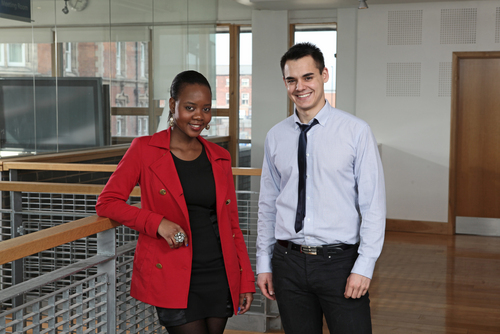 The partnership, which was formed in September 2011 at the start of their programme, saw 70 students on the MSc in Marketing Management Practice and MSc in International Management & Marketing enrolled into CIM membership as part of their induction. This gives them access to all the CIM member benefits across the institute’s vast knowledge base and network, including being able to attend CIM events for free and start to engage with the local marketing community. The initiative, masterminded by Professor Bradley Barnes, Head of the Strategy & Marketing Division at Sheffield University Management School, and Diane Earles, Regional Director of The Chartered Institute of Marketing, is the first of its kind in Yorkshire. All students that complete the course will automatically be awarded associate membership of the institute and be able to have ACIM after their names, which is the first step on the path to becoming a coveted Chartered Marketer. “Being a member of the CIM is a great opportunity to get into the world of marketing whether you are a student or a professional. The resources available through the CIM are extremely useful and the events provide a relaxed atmosphere whereby you feel able to ask questions or make comments during or afterwards. Becoming a member of the CIM when you begin the course, is definitely a highlight of choosing Sheffield University for my studies”. Plans are already in place to continue this successful arrangement for the next intake of students on the same masters courses later this year. Pictures from the recent CIM event that university of sheffield students attended and Diane Earles – Regional Director at CIM, Nicki Newman – Lecturer at University of Sheffield, Dawn Southgate – Head of Information at CIM and Dr Caroline Oates – Programme Director at University of Sheffield, courtesy of Resonant Aesthetics. With the completion of a century in winning professional recognition and status for the marketing professional The Chartered Institute of Marketing will continue throughout its next century as the marketer’s lifelong career partner, and the champion of marketing excellence in all aspects of business and commerce. Events and celebrations planned during the centenary year will provide marketers with an opportunity to show off the positive power of marketing and demonstrate the beneficial contribution that marketing provides to both an organisation’s bottom line and long-term future. The Management School would like to congratulate Dr Naoko Komori, Lecturer in Accounting, on her recent membership on the Editorial Board of Accounting History, effective from July 2011. Earlier this year in March, Naoko was also invited to deliver the lecture ‘Rethinking Mrs Watanabe: changes and constraints in the relationship between Japanese women and accounting / finance under the influence of globalization‘ for the Japan Foundation Fellows Lecture in London. The flyer for this lecture can be downloaded here.